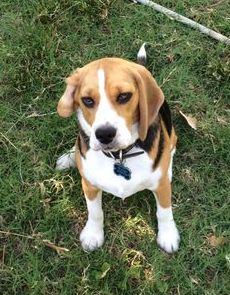 People have asked me at times why the Beagle is my hound-of-choice, my dog-of-preference. 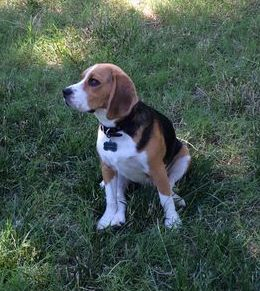 I could say things like owning a beagle is a guaranteed any-moment-instant-activity program, each and every day. As I type this essay, Chance has grabbed my hankie and I’ve raced to retrieve it before he shreds it. I could say the challenges are so plentiful that I cannot walk away from yet another hound in my life (Chance is #4). And I could opine that the breed is just like me: willful, loving, independent, spirited, problem-solver. 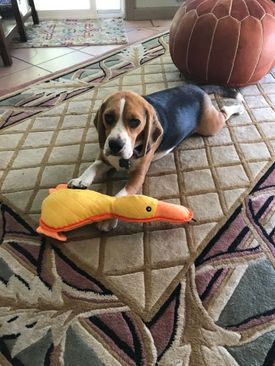 I could, with extreme honesty, say that my love of the Beagle dates back to a half-beagle, Trixie (named after the cereal), who was “my dog” when I was a very young girl in New Jersey. The most accurate reason for my beagle-love is that the Beagle is solid as a rock. He is faithful beyond belief, to the point where I’ve felt suffocated by the devotion and loyalty that each hound has felt toward me. In a world where friends turn out to be back-stabbers and users, the Beagle has her place! She’ll never betray you. True, the Beagle is not submissive. She will listen to your command. Look at you, think a moment or two about obeying, and then go right ahead and continue running down the dirt trail and away from your frantic eyes and calm, steady voice: COME. 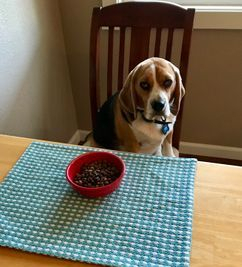 It’s smarter to bet the DON’T COME with a beagle. 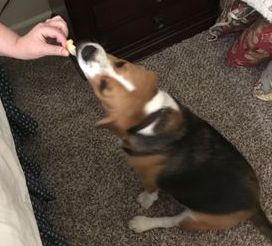 Reverse psychology is not exactly the approach to use with this breed of hound, but it’s important to understand that the beagle is focused on one thing at one time. Multi-tasking is never the game with the beagle hound. 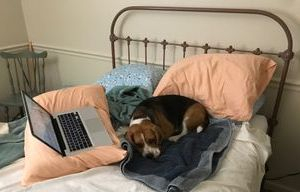 A person like myself, who not only does a few things at once, but sometimes in two languages (American English and French), has had to train her brain to think Beagle. 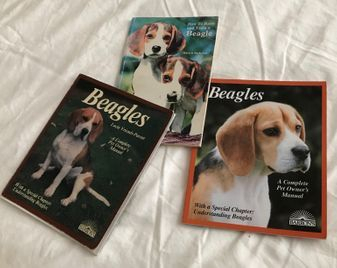 There are books, and I own a few, on training the beagle, but I think of them as satire. Food can, at times, be the reason for being. The present hound, Chance, is not the voracious hunter of human food, as were two of his predecessors. Those females of this breed, I firmly believe, possessed the superior sense of smell. Chance is now two years old, and his meal-times coincide with mine. In fact, I’m convinced that he’s got Species-Confusion at meal-times. —Any place you have been He will go. 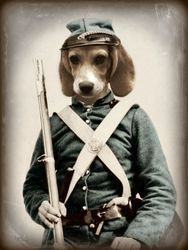 General Grant’s order to his troops, “Wherever General Lee goes, there you will go,” is a handy rule for the Beagle-Owner to follow. There is no disrespect shown by this hound in cozying up on your pillow. He merely wants to be . . . close to you. I got up to take a bathroom break while composing this essay and returned to find . . . Someone had taken my place! —Pouting is a genetic ability for the beagle. We call it “the Grandma look,” because the face so closely resembles our very dear and dearly departed Grandma Woerner. The best way to deal with the professional pout of the Beagle is to photograph it! —-The Hound is the prototype of the Couch Potato. Not that he’s lazy. He certainly is not a slouch. In fact, his high-energy level doesn’t lower itself or come to an all-stop, until the dog jumps up and comes to rest, on the Couch. Or your favorite chair. If you do not own a favorite chair, he’ll get one for you! For the both of you! —Toys are joys. Especially chew-toys. Have a few fire-hose-strength playthings on hand, for his ever-busy mouth. And be prepared to replace the toys, or you’ll be replacing socks, shoes, hand-towels, handkerchiefs, placemats, pillowcases, the leather sandal of a house guest. It’s more cost-effective, and a sign of politesse, to purchase the Chew Toys in advance of any social events in the Hound House, formerly known as your Home. —Harsh words and stern glares can break a heart. The Beagle is a sensitive soul. You might not think so, given his iron-will to get into just about everything he’s not supposed to even approach. His heart, though, is gentle and pure. Tears can form in those soft pleading eyes at the sound of ire from your throat. Take those unspilled tears to heart, your heart, and this hound will love you forever even more. 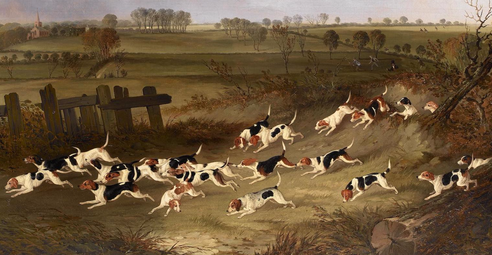 —Defense of the Realm is part of Beagle Love. Any alien sound is detected as a threat, and the UPS man is an intruder, no matter how many times the guy in brown has come to your door. 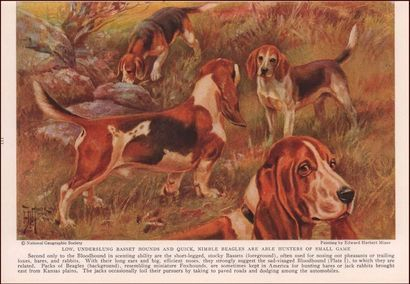 As one UPS guy told me before he retired — not because of Bonnie or Bridget, but I do think Bootsie went into the decision: “That one wants a piece of me.” Big Brown was terrified of that hound! — Angel love is what any Hound offers. I speak from profound experience. 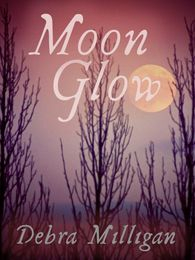 Bridget Louise was my angel dog, the inspiration for the poetry of Moon Glow. I still mark her birth-day as not only the day she was born, but the day a part of me came to life. As for rocks, and their solid state, I long ago fell in love with geology. My work with geologists deepened that love. My writing of Northstar was made a whole lot easier by my playful friendship with Mr. Treat, Chief of Geology at the U.S. Army Corps of Engineers. The badinage that we shared was solid as a rock. 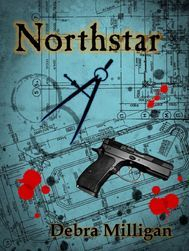 When I gave him a paper copy of the first Northstar, he opened it and saw that it was signed. Tears almost formed in those kind eyes at the sight of my signature, in a handwriting he’d seen often enough on the editing work I’d performed on his carefully written portions of dam inspection reports and memos. Mr. Treat was a “rock-type” who kept his feelings very close to the chest, but I knew that he was quite moved by my gesture, even as he jokingly asked me if he could keep this book. I hope you readers will consider the digital version of all of my books in the same manner. It would be a treat for me, and a definite treat for my hounds, all of them! Although solid-state is long gone, Great Books on the Internet are solid as a rock!